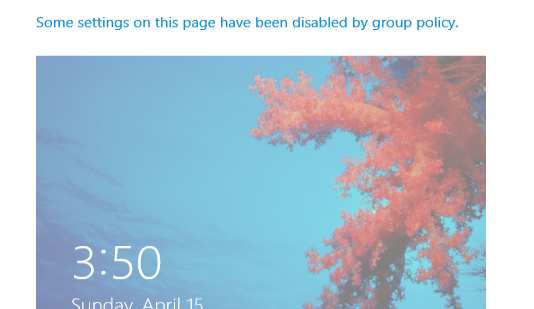 Unlike the previous versions of Windows, Windows 8 displays a lock screen instead of a login screen when the computer is turned on. 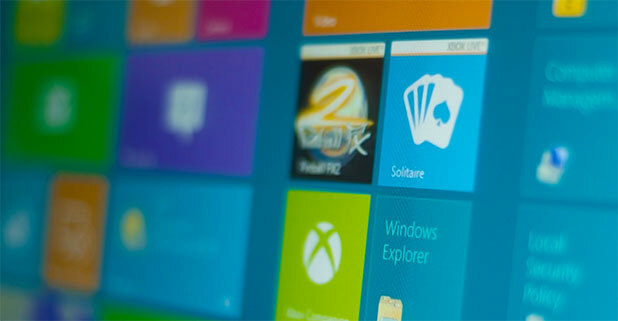 To be able to log in to Windows, users have to manually drag this screen to the side of the monitor. If you think it is unnecessary, you can turn this feature off and make the log in process like the previous version of Windows. Read on to find out how. The Windows 8 lock screen seems to be more helpful for tablets than for computers. Although displaying apps’ notifications on the lock screen sounds like a good way to know what is going on inside the system, that information can be seen by others too, which is not always a good idea. Luckily, we can disable the lock screen. 2. 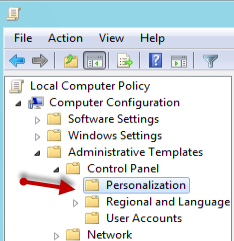 When the Group Policy window appears, navigate to Computer Configuration -> Administrative Templates -> Control Panel -> Personalization. You can access this location from the main window or from the left hierarchy. 3. Look on the right side of the window, find the Do not display the lock screen option and click on it to change the setting. 4. By default, this option is set to Not Configured. To disable the lock screen, we need to set it to Enable. 5. 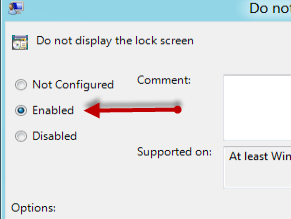 Click OK to save the setting and close the Group Policy Editor window. 6. After the setting is changed, you will notice that the Lock screen setting is also locked. The next time you turn on the computer, you will be greeted with the log in screen instead of the lock screen.